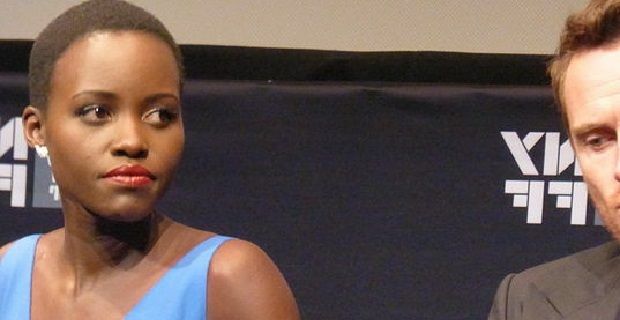 Lupita Nyong'o has been nominated along with four other actors for the 2014 Bafta Rising Star award. The others on the shortlist include actress Lea Seydoux from Blue is the Warmest Colour, Sunshine on Leith’s George MacKay, Will Poulter from We're the Millers, and Kill Your Darlings actor Dane DeHaan. We’ll have to wait until Sunday 16th February to find out who wins the prestigious award but the big money is on Lupita Nyong'o who plays cotton picker Patsey in Steve McQueen's 12 Years A Slave. The actress was “absolutely delighted” to be nominated so we’re expecting a tearful acceptance speech if she gets the nod. Nyong'o has also been nominated for a Golden Globe and took the breakthrough performance award at this year’s Palm Springs International Film Festival. If she wins, Nyong'o will emulate last year’s winner Juno Temple who won after standout performances in Notes on a Scandal (2006) and The Dark Knight Rises (2012). Nyong'o was nominated by a panel that consisted of film critic Mark Kermode, Bafta film committee deputy chair Pippa Harris and actress Gemma Arterton. One of the panel’s other choices, George MacKay, is considered to be her biggest rival for the award. The Sunshine on Leith star has already earned nominations from the Critics' Circle Awards and the British Independent Film Awards for his performance in The Boys Are Back. Nyong'o’s other rivals for the covered Bafta include Lea Seydoux who performance helped Blue is the Warmest Colour win the Palme d'Or at Cannes film festival. She’s also been in a few high-profile American movies including Ridley Scott's Robin Hood and Quentin Tarantino's Inglourious Basterds.